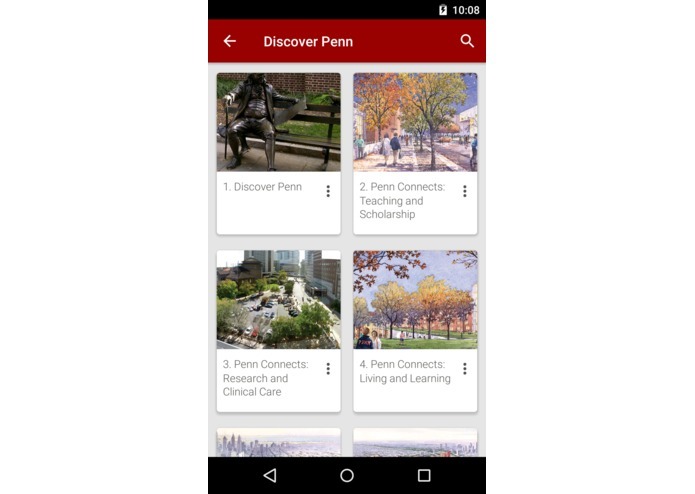 The Traveler invites visitors to learn & discover all that Philly & the University of Pennsylvania have to offer! 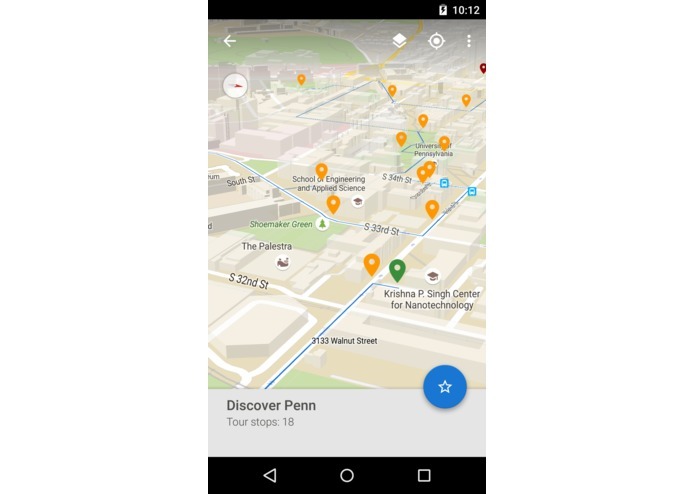 The Traveler invites visitors to learn and discover all that Philadelphia and the University of Pennsylvania have to offer. 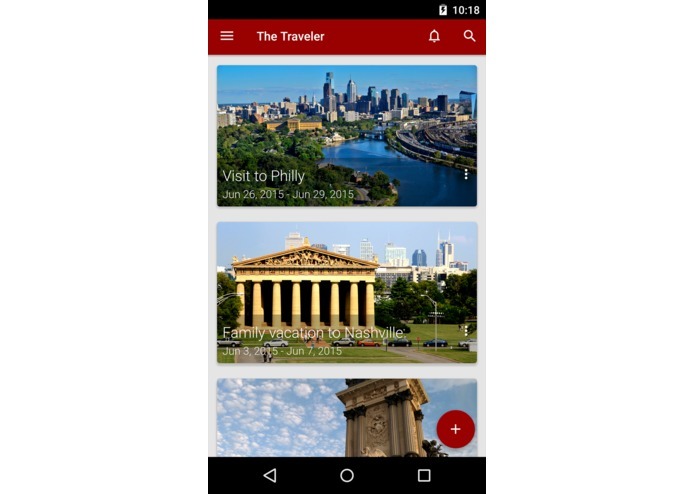 With almost 50 tours covering more than 700 points of interests, The Traveler is the ultimate tour guide. 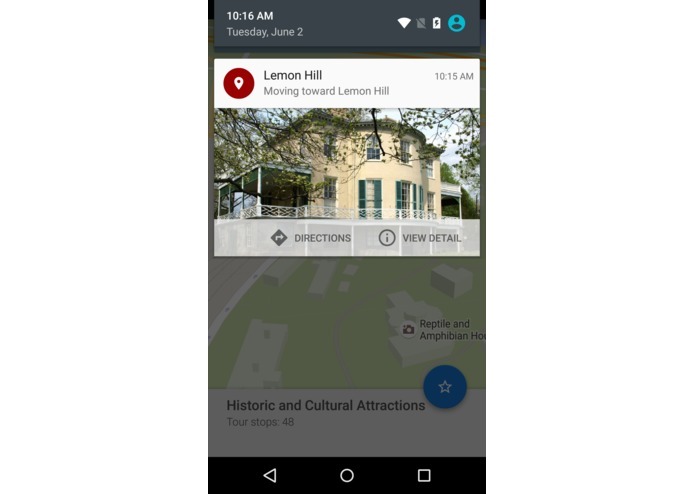 Coupled with the base trip journaling features of the app, visitors are easily able to capture and record their entire experience while exploring and enjoying the cultural, historical and educational richness of the city and campus. 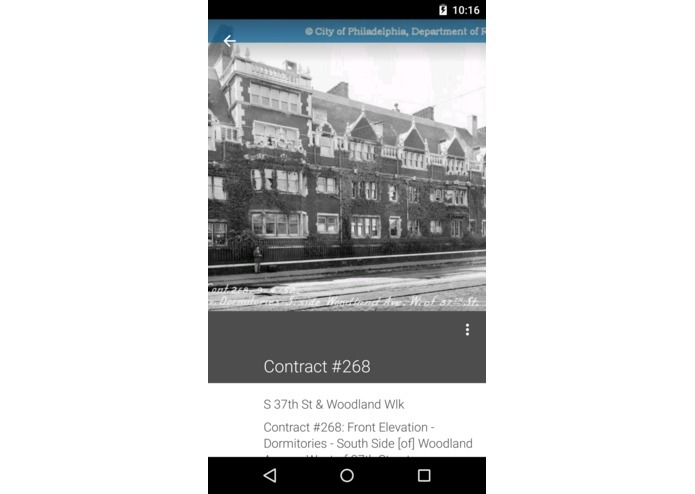 Our tours were created by aggregating and integrating data from a variety of Philly's Open Data sources, including the Philly Fun Guide and PhillyHistory.org, along with map and place data from Penn's web site. 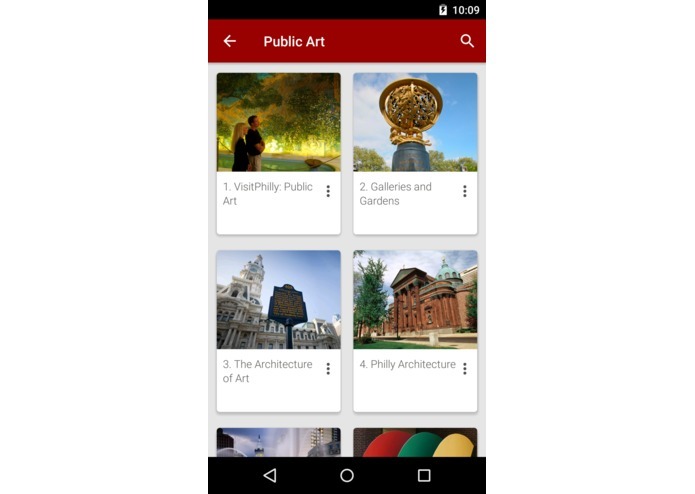 Several other sites - including Phila.gov, VisitPhilly.com and more than a dozen others - were integrated into the app experience to provide a wealth of content for students, faculty and visitors. 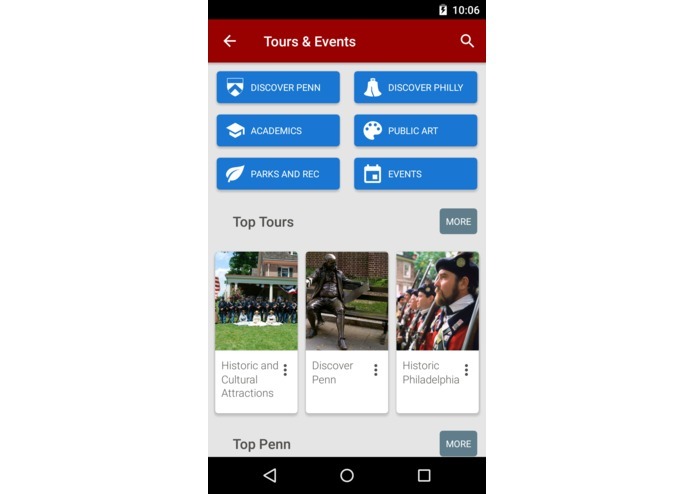 The tours cover five main categories of interest – Discover Penn, Discover Philly, Public Art, Academics and Parks and Rec. 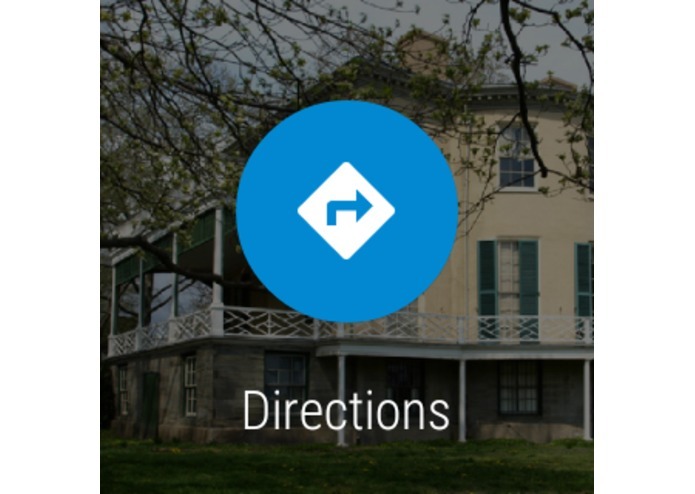 Each category then consists of a half dozen or more tours, each with 10-50 place markers, allowing visitors to explore at their leisure. 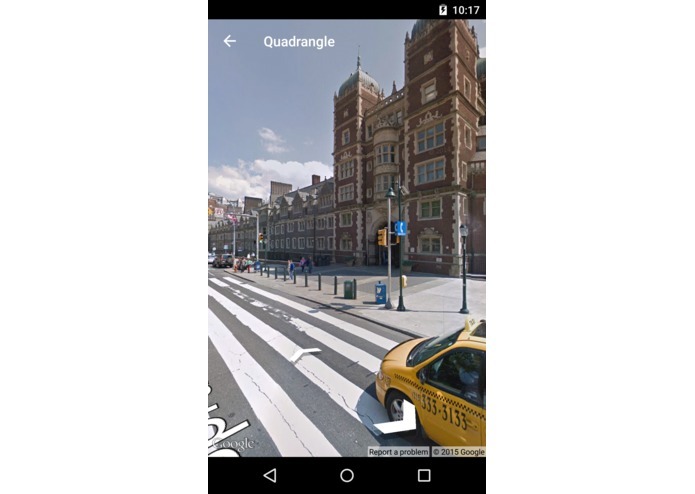 The places are geo-tagged and positioned along the path, which can either be walked, biked or driven by car. 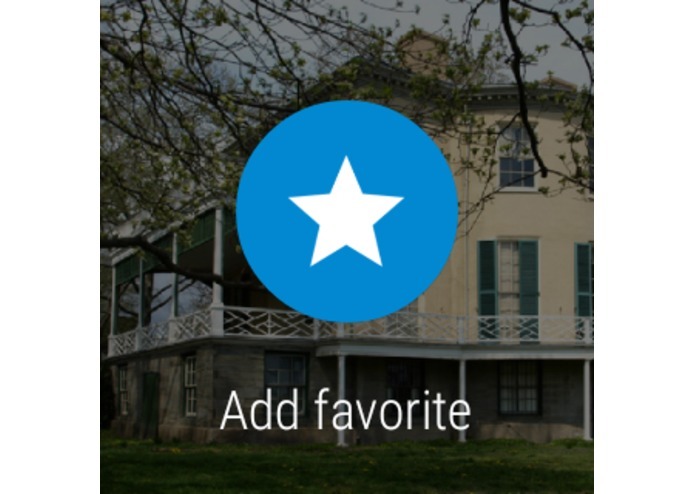 As visitors explore the tour, they can tap on each place to view additional detail, share it with friends and family, add to their personal favorites, jump to street view, and even view historical photos of that location. 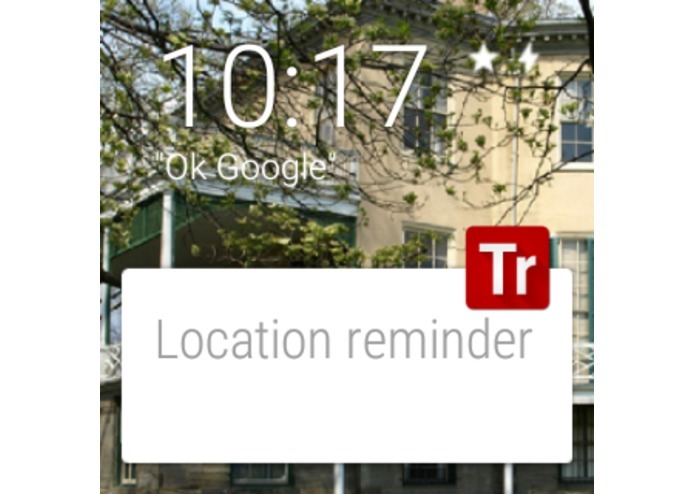 Rich notifications, delivered to both the phone and a connected Android Wear smartwatch, let visitors know as they are approaching a place. 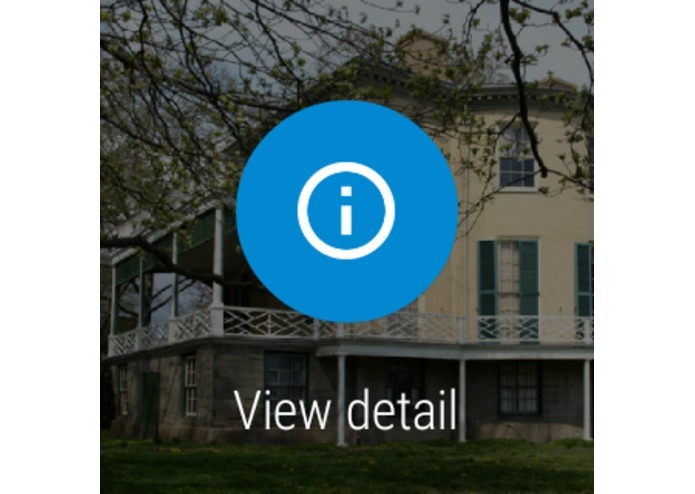 The notifications, both on the phone and watch, allow visitors to view the place detail, add it to their favorites and visit the associated web site. 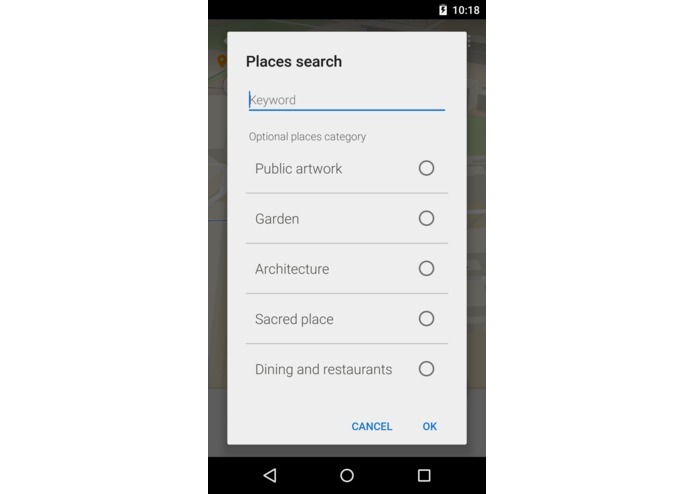 In addition, they can also explore upcoming events happening at that same location. 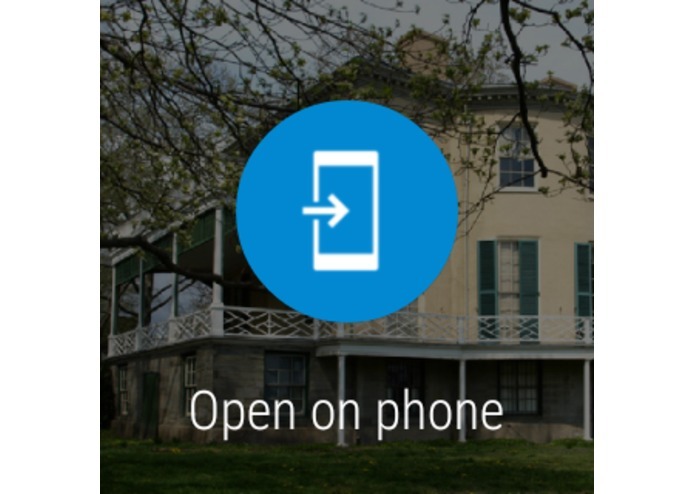 Imagine you are walking through one of Philly's amazing parks – the app will let you know about a concert or family activity happening this weekend. 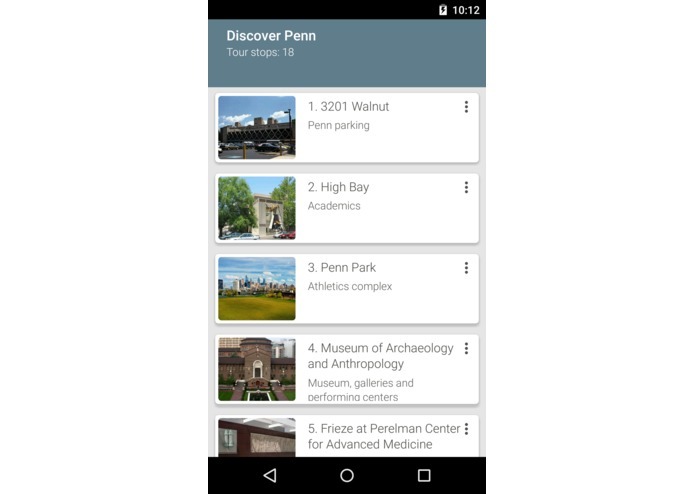 Or maybe you are biking through Penn's campus – you can learn about upcoming lectures or gallery openings at the museum. 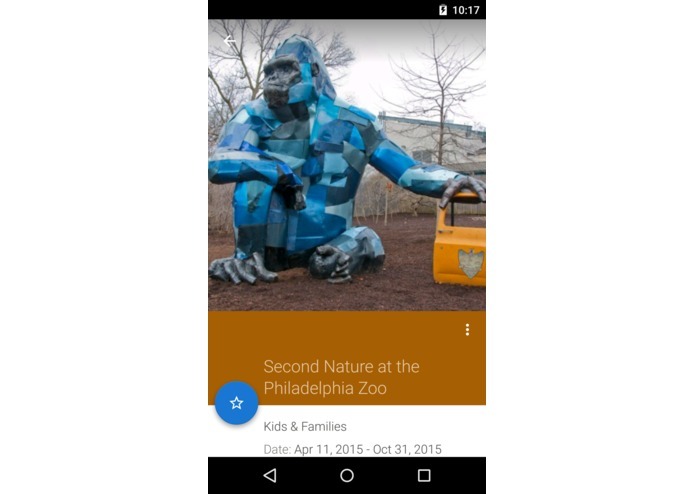 In addition to the category-based tours, we also present the Top Tours, Top Penn and Top Philly – all based on the number of visitors that view (determined using Google Analytics) or add the tour to their favorites. 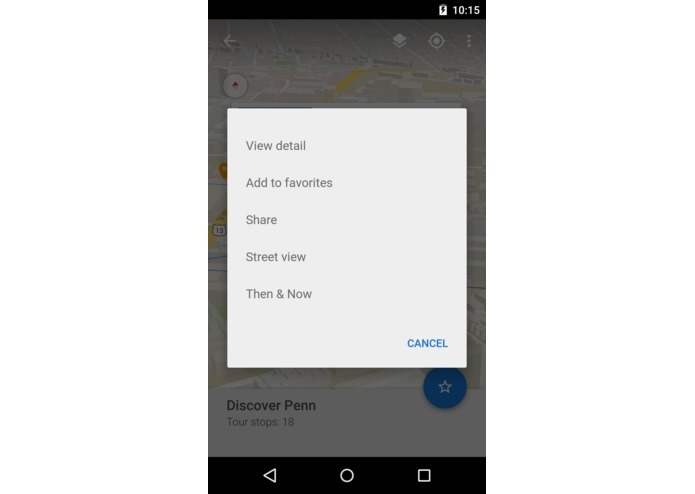 There's also nearby tours (within two miles of the visitor's current location) and a list of all the tours the visitor has added to their favorites. 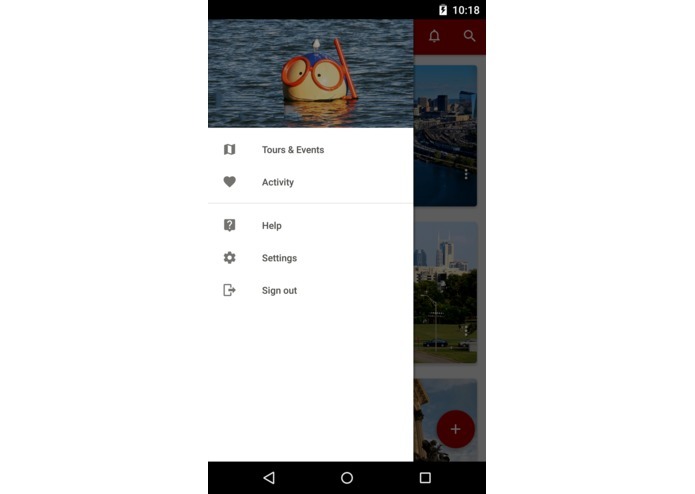 Over 250 events are also available through The Traveler, organized by category, along with the Top Events, Nearby Events and Favorites. 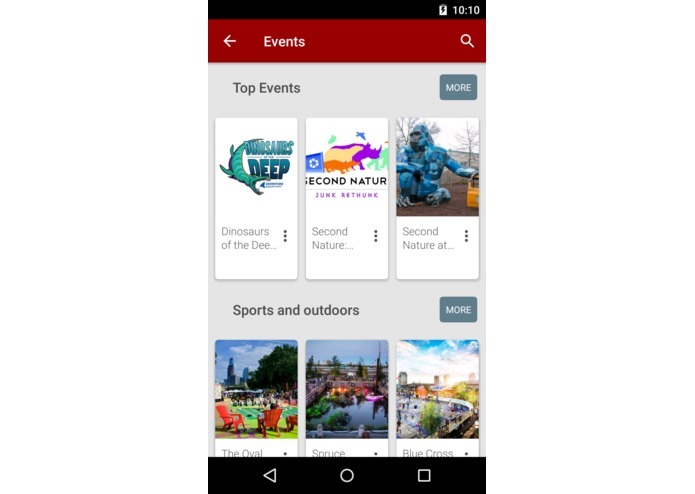 Other features include an app-wide search that allows visitors to find tours, places and events; the ability to add overlays for places like bike racks, parks, libraries, playgrounds and more; and integration with the base functionality of The Traveler. 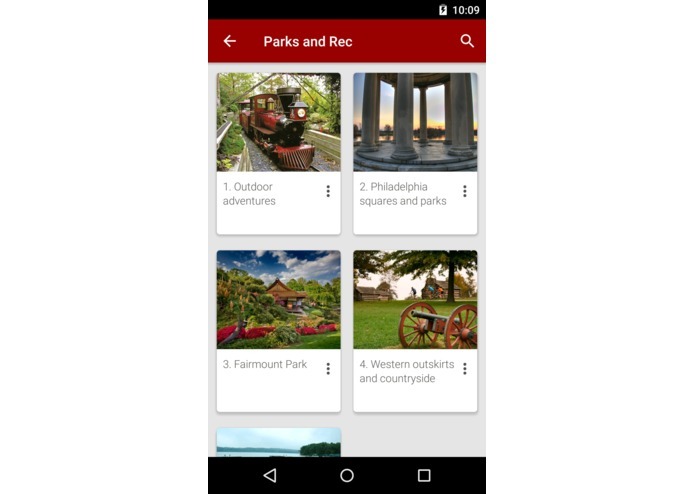 Originally designed as a trip journal, The Traveler allows visitors to record their path as they navigate and explore a city, as well as capture – and pin to the map – a variety of media, including photos, videos, audio clips, notes, location markers and sketches (Samsung Galaxy Note devices). 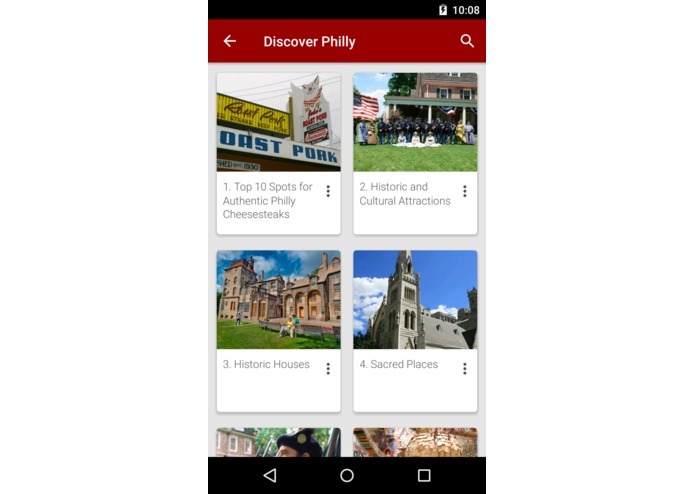 As visitors are capturing their memories of their trip, they can overlay one of the nearly 50 tours on their current path an explore all that Penn and Philly have to offer. 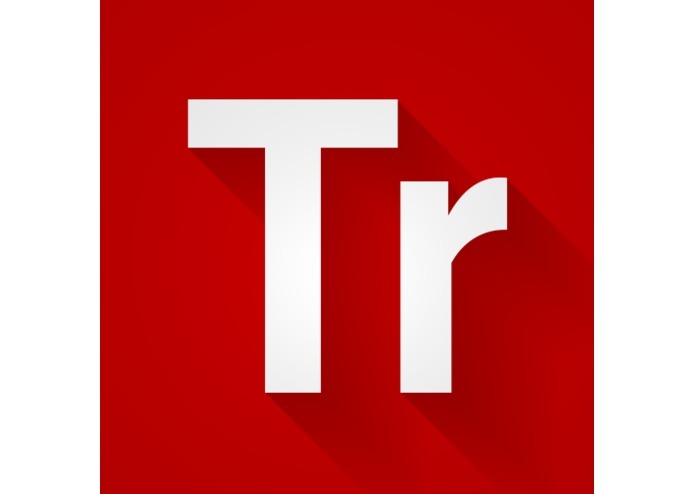 With over 111,000 downloads worldwide, The Traveler is an established and proven trip journal app for Android phones and tablets. 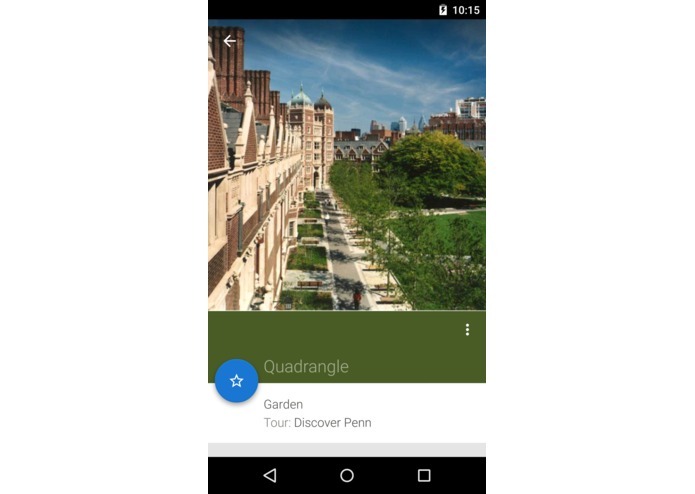 The app has been promoted three times on Google Play; featured in app reviews from LonelyPlanet.com, LiveMint.com, CNET.com and more than 60 other blogs and web sites; named as a runner-up in both the Google Fit Developer Challenge and the TechPoint Mira Awards; and was recently awarded an Innovators Award from Campus Technology. 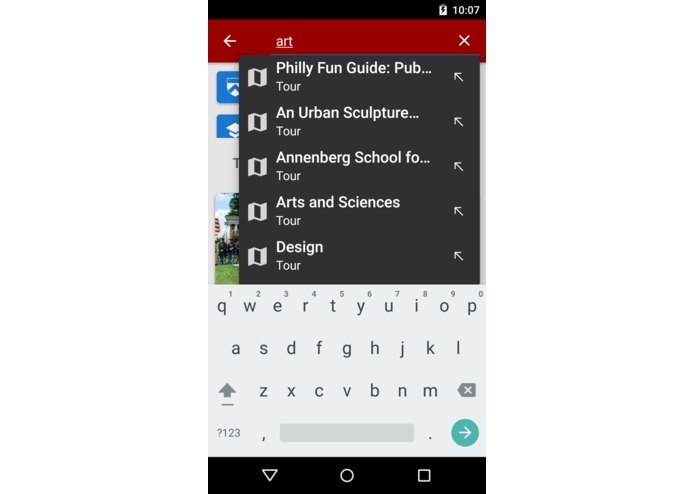 Through our use of The Traveler at Ball State University, more than dozen different disciplines have visited 35 countries and all seven continents, recording over 100,000 miles of paths and collecting more than 25,000 media objects. 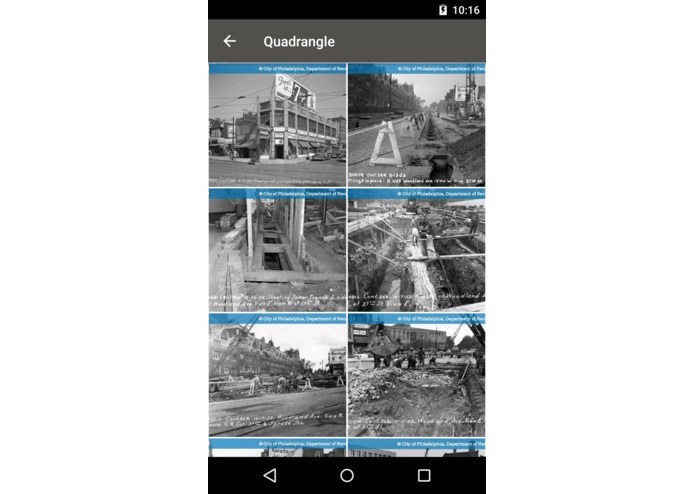 We event had the opportunity to write a book chapter for Mobile Media Learning, published by Carnegie Mellon's ETC Press, documenting our efforts with this project. We hope you enjoy The Traveler and have a great trip! 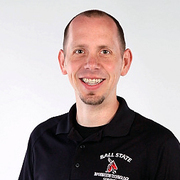 Special thanks to Al Rent and Ben Yonkers at Ball State for the amazing video! 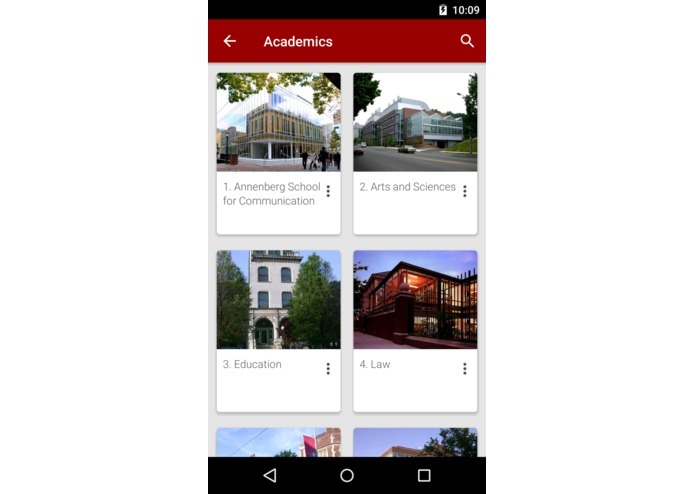 For more information, check out our Google+ page.